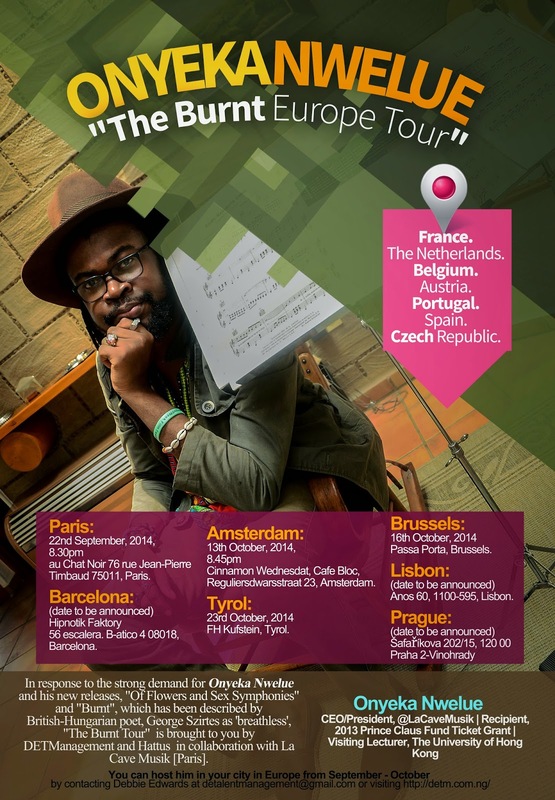 Debbie Edwards Talent Management has announced Nigerian poet, novelist and filmmaker, Onyeka Nwelue's "The Burnt Europe Tour". He will tour France, The Netherlands, Belgium, Austria, Portugal, Spain and Czech Republic. He is currently in Mexico and attending the Festival of Poetry of Maracaibo in Venezuela. au Chat Noir 76 rue Jean-Pierre Timbaud 75011, Paris. In response to the strong demand for Onyeka Nwelue and his new releases, "The Burnt Europe Tour" is brought to you by DETManagement and Hattus in collaboration with La Cave Musik [Paris].